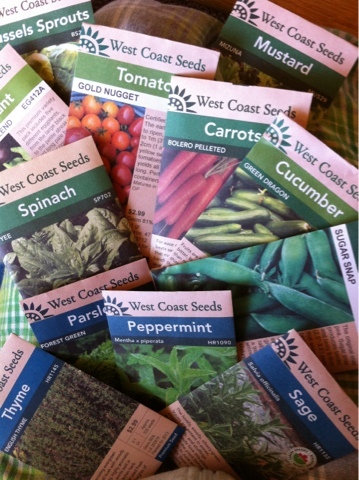 The seed order from West Coast Seeds arrived today! ...this is going to be one big garden. Too much for first time gardeners? I hope not!